Locate and open the glove box. Empty the glove box. 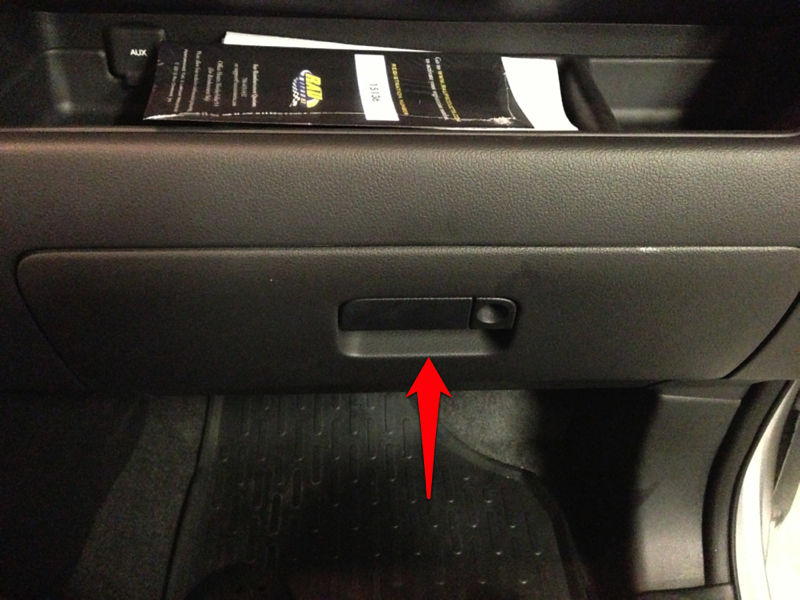 Remove the two glove box stops. This is done by popping out the plastic tab and then rotating the stops upward. They should come right now. 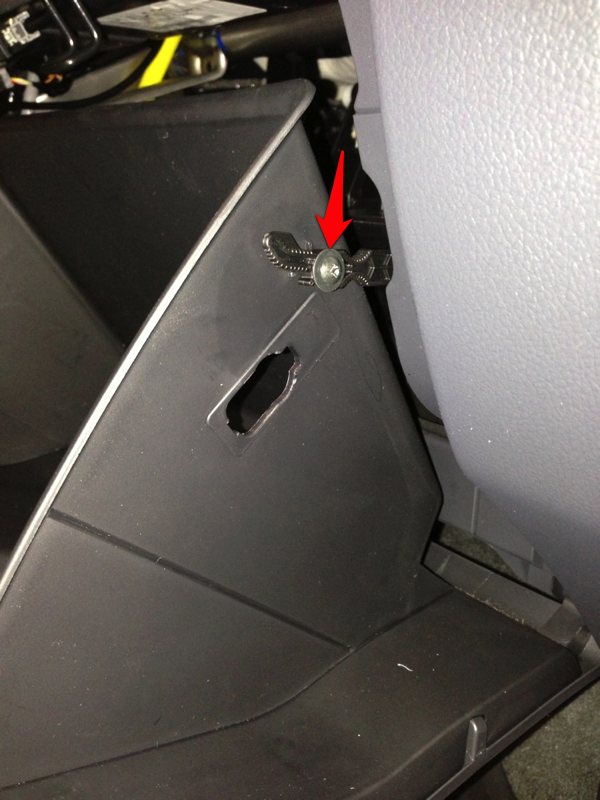 Remove the small phillips screw. 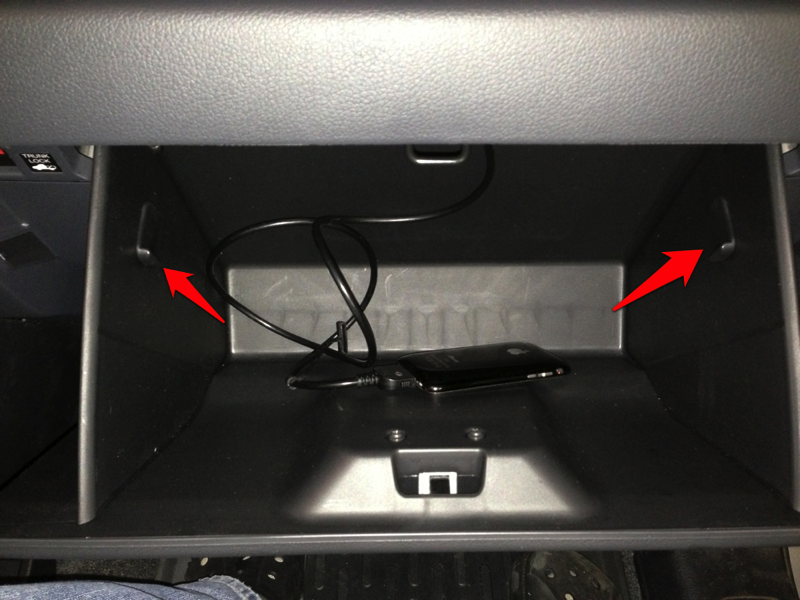 Lift the cylinder arm off the glove box and slowly let the glove box down to the ground. 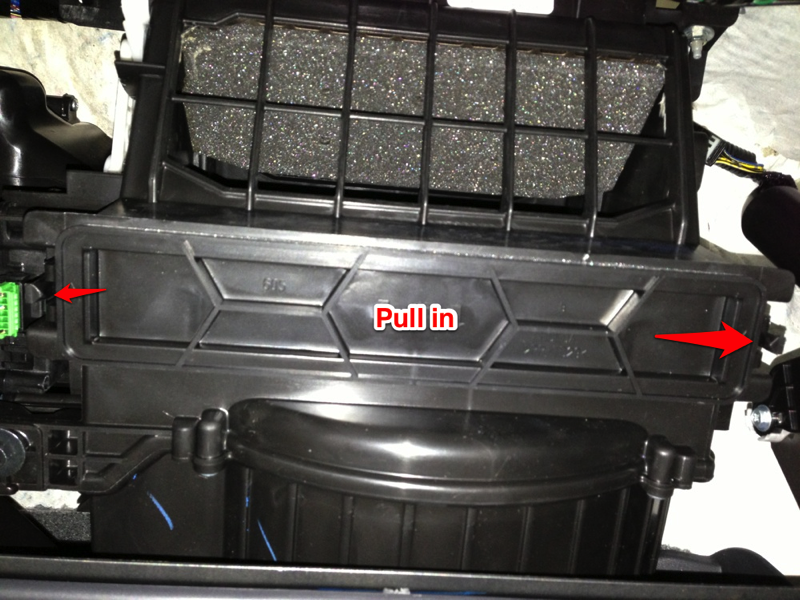 Using your fingers, pull in the two tabs on the cabin air filter box. 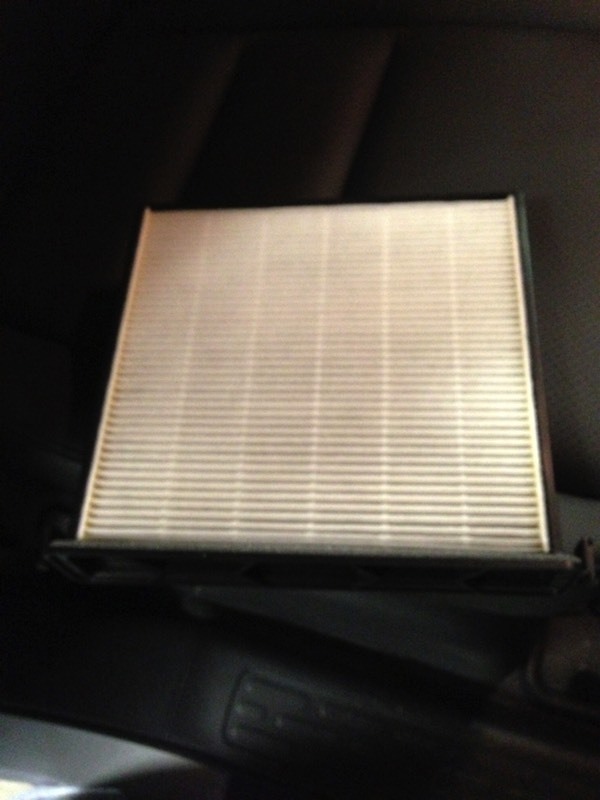 Slide the filter out and replace.